• 40mm version ideally suited for panelled doors. • Particularly suitable for glass panelled doors, as the handle can be deadlocked offering additional security against forced entry. 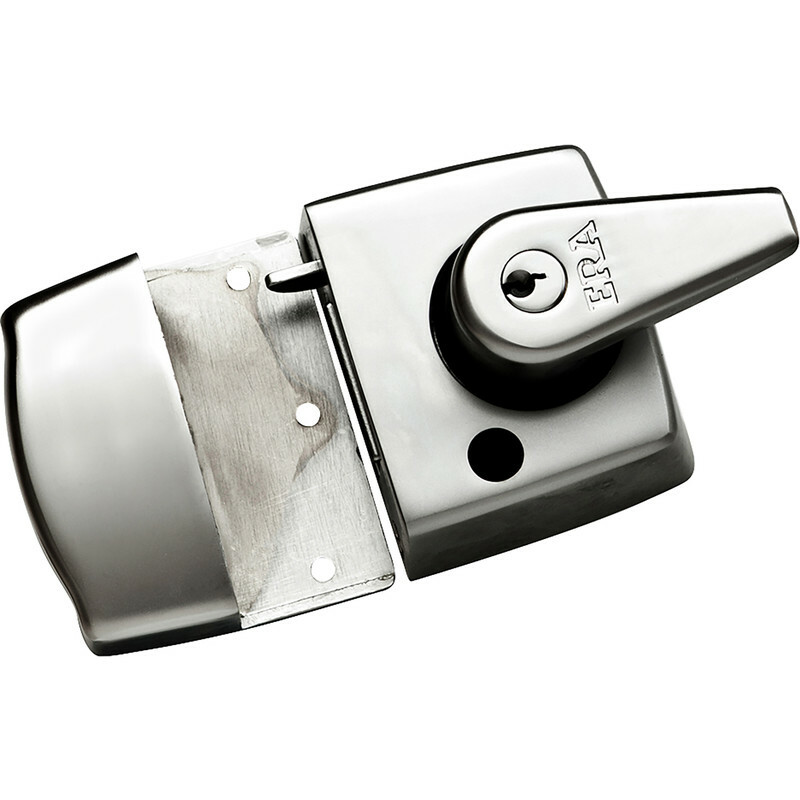 ERA Double Locking Nightlatch 60mm Satin Chrome is rated 5.0 out of 5 by 8. Rated 5 out of 5 by Persimion from Great security. We are very pleased with the quality of this lock. It certainly gives you confidence. Rated 5 out of 5 by johndc30 from Fantastic Really solid heavy duty lock, looks great as well. Rated 5 out of 5 by Mark191 from Quality Lock - recommended brand by locksmiths I was recommended this by locksmiths over a different typical household brand. This does seem to be made of good materials compared to others I've handled. Dead locking as standard was critical in my view and many locks don't offer this unless around double the price. I bought from Toolstation because their pricing seems very competitive. Rim cylinder looks fairly standard though. Overall this is a good lock, operates smoothly and locks with a heavy clunk, so you know your door is properly locked.